If there is one Castlevania game which I didn’t get to play over the years it is Lords of Shadow. I skipped most games from the 360/PS3 era in favor of Wii releases and have taken it upon myself to try and catch up with as many as I can. Lords of Shadow has so many issues that it makes me wonder if someone even playtested it before releasing it to the public. It baffles me to see so many obvious design flaws that make the game an extremely painful one. If there is anything I have to concede to the game is the beautiful presentation. This is certainly a game that looks beautiful on trailers and promotional materials. There is a lot to like from a superficial stand point. Just because it is a Castlevania game doesn’t mean I will do the game any favors. This game is absolutely terrible and definitely the least enjoyable game I’ve played in the entire 2018. But don’t just think this is me hating on the game, I took a really long set of notes and I will go one by one and explain every single thing the game did wrong. Be warned that this will be full of spoilers. By far what surprises me the most is how boring the combat in this game. I’ve heard many people praising its depth and how it fares against modern action games. I am clueless as to why people would think that. Combat boils down to just spamming X, X, Dodge. I wish this was an exaggeration but it literally is all there is to it. From beginning to end you will play the game only doing these two basic actions. You can opt for other attacks like Y, relics or sub-weapons buy they aren’t even remotely close to being useful. Y hits in an area with attacks that are so weak that X outdamages it, even fighting a horde you will kill it faster by individually killing them with direct attack rather than trying crowd control. Relics are situational but even in their prime situations they still fall flat to X combos. Same for sub-weapons. However, the potential is there for the game to be so much more. Imagine adding heavy armor enemies that can only be opened up by the gauntlet. There is a segment during the final fight where you have to alternate between light and dark magic to navigate several interlacing circles. It kind of felt like Ikaruga, but it also was one of my favorite moments. After defeating the first lord of shadow and delivering the final blow to him with his own weapon, I felt excitement as there was a chance of me getting his weapon and re-learning my combat strategies. Instead I got some boots. The boots had its uses in platforming segments, but I still wonder why they couldn’t give me the weapon. It was particularly painful during the gravedigger fight because I really wanted the shovel. Part of what makes combat so stale is the lack of meaningful growth through the upgrade system. Your XP can only be used to purchase new moves. That’s it, only new combo routes and magic attacks. A lot of these unlockables should be given to you with the proper relic. Even when purchasing them, you don’t feel like they make you any more of a threat, they just feel like extensions of what you should have been able to do in first place with the proper relics. The most glaring flaw of the system will become apparent when you first try to backtrack the earlier chapters after beating the game. You will have extra moves and combos, but you will not be even close to steamrolling the trolls of the first chapter. And this is all because you never actually scaled to be stronger or hit harder. Instead you are given just more combination of buttons which don’t accomplish more than you could when you started the game, or expend huge amounts of magic for marginal benefits. I already stated that relics have their good combos locked behind upgrades, but the stand alone relics themselves are victim of a cruel mistress: timing. In action games, players naturally go through learning curve that is best defined by a lot of progress at the beginning and slower gains afterwards. The issue with the relics is that their additional to the player’s arsenal comes just too late. The gauntlet is the first relic to give players additional combat options, but by the time it is acquired the player is no longer in a fast learning state, but rather has settled into whip combat. The consequence is a relic that is not naturally adopted by the player. To makes matter worse the second relic, which also comes much later, is the speed boots which don’t add combat possibilities at all other than the charge. As a result, the player has already adopted a winning strategy with whip combat and its results are proven. There is no reason to add moves to a winning strategy, even less so when you turn on damage numbers and figure out that nothing of value is lost by completely ignoring relics. Every single enemy in this game requires an extensive amount of damage before collapsing, with the reapers being the only exception. The consequence of inflating the HP numbers of enemies is a feeling of fake difficulty. There isn’t nothing inherently wrong with durable enemies, but overwhelming the player with them is just a quick way to incite boredom and turn a feature as attractive as combat into work. I don’t have a smart thing to say about this one. Hitboxes are just plain bad. They extend way beyond the visual effect of an attack. Being hit by a bad hitbox doesn’t leave any desired feelings on the user. He doesn’t learn about the threat of an attack or even adapts to combat strategies, he is only left with frustration, especiall when it was an unfair killing blow. On the topic of unfair combat, who thought instant unblockables were a good idea? To give some context, unblockable attacks are moves which can’t be blocked. They are distinguished by their yellow glow coming from enemies. Their purpose in games is to challenge the defense of a player and make them second guess block as absolute defense. A well implemented unblockable attack is telegraphed to the player and signals imminent danger coming towards him. It teaches the player to be on guard and pay attention. So what does it accomplish if it is instantaneous? To damage the player. It doesn’t do anything meaningful to the gameplay other than unfairly damage the player. When you have an offensive option that has low-risk and high-reward, then your option is bad for your game. I didn’t mention what is the main weakness of the unlockable combos, and that is that you will rarely ever use them. If your combo is comprised of more than 3 inputs, then it is highly unlikely that you will ever pull it off. The reason for this failure is that your attacks don’t actually stagger the enemies until their later hits. If an enemy is ever coming your way, you can be whipping them as much as you want but you won’t halt their advance. This relentless advance of the enemies is better translated as a time limit on your offensive. I can probably count with one hand the number of times I was able to pull the ninth hit of the direct heavy combo because it is inevitably stopped after 2 or 3 heavy hits by advancing enemies that don’t stagger. What makes this so unhealthy for the game is that it strip an action game from the combo side of combat. What good is your complex combat system of varied inputs if there is never an appropriate time to pull the combo? – The actual useful attacks are blocked behind charge motions. Every time I see a combo on the move list and see a “Hold” button input I’m filled with dread. Some of the more useful relic attacks are hidden behind charge motions. 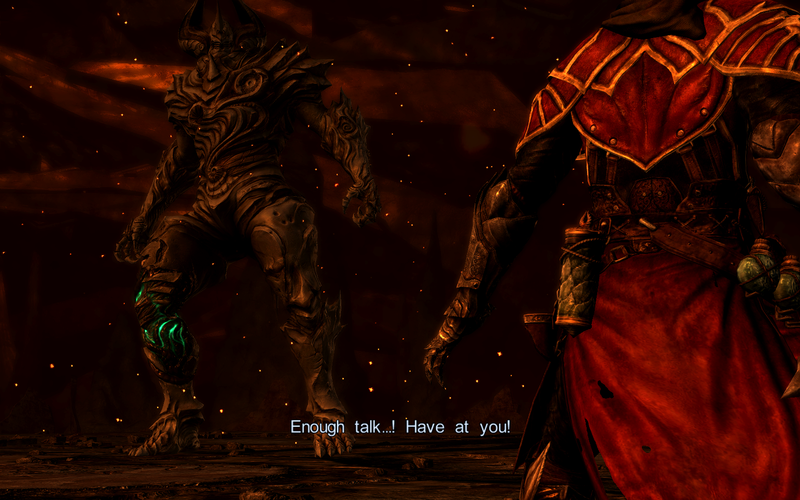 Lords of Shadow does seem to really a lot on charge motions for heavy attack. Charge moves are equally as hard to pull of as lengthy combos due to the same relentless nature of the enemies. Why bother adding a powerful ground pound attack that is obviously effect when surrounded, if it is virtually impossible to find the time to charge before they overwhelm you? They are surrounding you after all. Even if this isn’t a proper “Metroidvania”, there are still mild elements of exploration in each level. Branching paths by themselves open venues of exploration for the player to adventure and discover secrets, but when you introduce points of now return, then you shatter the incentive to explore. A common way in which points of no return were used was to introduce action sequences or specific objectives. One example that comes to mind is jumping from the cliff to land on the camp of trolls, just so the game could introduce a horde fight where the objective was to bomb a tree. Similar scenarios happen further into the game, but they instead raise blockades from the path you came from, which are removed when sequence ends. Why couldn’t this be the approach for all this sections? Points of no return are commonly used in Metroidvanias, but only to box the player into acquiring an ability to escape, effectively nullifying the “no return” part. What is Lords of Shadow boxing you into? Just beating the level because there is absolutely no way to go back, instead forcing the player to restart the level and taking the other branching path and hoping that there are no other forks which force a third playthrough. Also, remember when I discussed how enemies are HP sponges and how you don’t actually become a stronger warrior by the end of the game? This also plays into why backtracking is dreadful in Lords of Shadow. The only thing worse than having to replay a stage multiple times because of deadlocks is having to waste the same amount of time killing enemies that don’t die faster, despite you being 20 hours further into the game. In what appears to be an effort to be more cinematic, the game adopted a fixed camera style. In some places it does work, like when climbing to the Vampire castle with the chilly winds and other castle towers in the background. Unfortunately, fixed camera is only great in theory, as in this game the camera proves to be more of a nuisance. The first problem comes from the terrible habit of rotating camera angles. In every stage you will find yourself walking in a straight line, only to enter the next scene which features a side view of yourself. This constant camera angle swapping creates a lot of confusion on the player, by having their forward suddenly switch to a right. Thankfully the game doesn’t require precise movement motions, otherwise they would be killed by the camera. This doesn’t excuse it from camera induced falls or even deaths though. The second and perhaps bigger problem comes from arena battles. An arena battle is any battle where the exits are sealed and the player is forced to defeat the enemies to continue. Keeping the the fixed camera tradition, the #1 problem the players will encounter will be enemies being hidden from sight due to the camera angle. They might be outside of the camera, hidden behind another object or even another enemy. It all stacks up against the player. Just picture an enemy that is outside of the field of view performing an instant unblockable attack. If you thought this couldn’t get any more problematic, then I’ll just mention that there are some arenas and even boss fight which have more than 1 fixed camera angle. Lords of Shadow is commonly described as a game that takes inspiration from many games like God of War, Shadow of the Colossus and Prince of Persia. The latter DNA provided a blend of good and terrible. There are points in the game where the enemies will spawn endlessly. 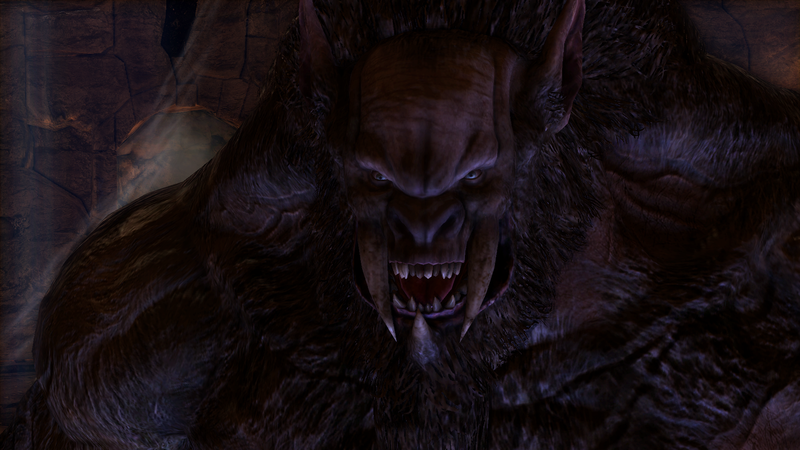 Some have a purpose like the trolls having to provide you with grenades or Wargs spawning out of necessity to get through an obstacle. Other times enemies will just keep spawning for no particular reason, why? At this point is has been established that in general, enemies don’t provide meaningful rewards for their termination, but do take considerably longer than they should, is it really necessary to stall the progress of the player? – Excessive amounts of QTEs, button mash events. The internet figured a long time ago that QTEs were not good for any game. Their intended purpose was to make cutscenes and action sequences interactive for the user, but eventually became an obstacle in the players enjoyment of the game. Watching Gabriel meticulously execute an enemy is a pleasant sight, but it ruined by not letting the player sit back and enjoy the moment, or else risk missing that single button prompt and ruin the moment. At the beginning I dismissed as a product of its age, but by checking the year I realized that the QTE craze was already over. The only redeeming aspect is that button mash sequences don’t actually require mashing, and can be done with slow button presses. – Mount blocked progression is a gimmick. They don’t work as puzzles and only serve as a clear foreshadowing that a huge enemy is coming. They can be best described as relics on demand, where at beast you have to kill a huge beast and carry it around a little bit and at worst you are forced to kill it numerous times to meticulously advance to the next area. When you begin the game you have very little in terms of actions. As the game progresses, slowly but surely you expand your arsenal and it injects a bit of variety into the game. So who thought it was a good idea to create a creature which removes that which make the game interesting, the relics? Chupacabras segments fail to be challenges and also fail to deliver a change of pace, why do they even exist? There is a puzzle in the land of the undead which requires you to point a laser at 3 different heads to free the chupacabra and reclaim your relics. It is a puzzle section but not one which is cheesed by having relics. The entire puzzle would be solved in exactly the same way with relics, in fact you could have made the cage provide the key and not steal the player’s relics and the game wouldn’t play any different. Backtracking in level-based progression is by all means artificial replay value. In Metroidvanias it works because the sequence of the game can be broken, but also because it rewards players for mentally tracking the early blockades and recognizing when they can go back and claim the goods. In a level-based game, there it is just a way to force the player to replay stages they have already completed. There is a single feature which helps ease the tedium of these stage replays: quick exit. If you have played Mega Man X, you know you have to return to Chill Penguin’s stage to get the heart container once you have the flame thrower. Lucky for you, you can grab the upgrade and exit the level. Lords of Shadow allows you to exit to the map, but takes away any progress done in the stage. Going back for that brotherhood ark you missed might be less of a chore if you could exit the stage after getting it, but you will most likely have to go and play through that long arena battle or even solve that puzzle once again to keep the goodies. 28 hours in and I still don’t understand what they expect of the players intelligence. The Malphas fight is a very good example of it. When the fight starts, you get a close-up to her, then she throws some eggs. The eggs also induce a close-up to let the player know you can interact with them. After an egg connects, you get another close-up showing the damage. Once she is staggered you also get a close-up to show you she is staggered, because having her crash apparently isn’t obvious enough. Once you clear the flying QTE, there is yet another close-up of her crashing, followed by another close-up to show you she is stunned. At this point it is pretty clear that there is no room to even doubt what I’m supposed to do, as obvious as it already was. And yet, an actually useful move like the ground pount (LT+Y) gets absolutely no tutorial whatsoever. It seems that the first documented use of it is during a puzzle where you must ground pound, and there probably was a text describing it if you purchased the hint, but other than that it’s as mystery unless you randomly pressed LT+Y. Platforming makes a decent amount of the game. We have already established the camera change induced missteps, but there’s more. One very glaring issue comes from the edge of the platforms and how they snap movement. When you approach the edge of a platform, the platform will stop your movement, presumably to prevent you from falling. It sounds like a pretty neat saving mechanism for the player, at least until platform jumps are introduced. By this I mean any section that requires the player to run and jump into a different platform. These sections become more prominent once you acquire the boots. So where does the platform snap play a role into this? Well, it turns out that some platforming segments require you build-up speed and jump large distances. However, the edges of the platform still halt your movement, so very frequently you will quickly run to a platform, only to have its edge halt your momentum and result in you giving a slow jump that won’t quite reach the mark. The platform snap is nothing particular to Lords of Shadow, as many game have similar mechanics in place. Other games don’t rely that much on platforming segments, and that’s what makes it even more noticeable. It is also necessary to remember that one of the earliest 3D games, Mario 64, has rock solid platforming mechanics. Oh boy, there are obscure puzzles and then there is the Music box. Throughout your game, you will be presented with very diverse puzzles ranging from ring rotation like saving Marie, to even a chess-like mini game. The Music box has its own little puzzle. In the Music box, you are tasked with collecting cylinders which play a tune. Different colored canisters unlock different passageways. You collect these cylinders gradually, which at least teach the player the different corridors each color will animate. Once I got the 5 cylinders, I was 100% one thing was going to happen: I would be required to play all 5 in a specific order, but I would only be able to find that order through trial and error. Lo and behold, the game actually made me figure out the order through trial and error. It is hard to describe the irritation I felt at this point, the game has already established that it thinks it is fine to force the player to replay the same segments over and over, and this puzzle only reinforced that. As a quick note, part of the excitement of the player comes from a sense of discovery. Even on games like Lords of Shadow, there is an incentive to replay an old part of the game if there is a promise of a reward like backtracking for brotherhood arks. Pointless replaying is not ok though. At this point you are only fumbling the player and preventing him from achieving victory by purposely removing the means to proceed. What kind of knowledge test is to force the player to go through the same segment up to 4 times to figure an arbitrary order? Invisible walls are an integral part of 3D games. They are meant to keep the player from going out of the boundaries of the level presented to them. Good invisible walls keep the player on track and are generally not perceived by the user. Your invisible wall is good if the player never actually bumped into it, through clever guidance. Lords of Shadow just decided that some paths are not available because reasons. One example that comes to mind is the Titan graveyard. After the first arena fight with the skeletons, the player can go left to reclaim a light gem. At the top of a titan carcass you can see another brotherhood item in the distance at the palm of another titan. The only thing between the hand and the player is a medium sized poison bog, one which the player has already jumped before. The game decided that wasn’t a viable route and just slapped an invisible wall to stop the player from attempting that jump. So how do we reach that item? We’ll just have to circle the item until we reach the spot where the game decided it shouldn’t place yet another invisible wall. 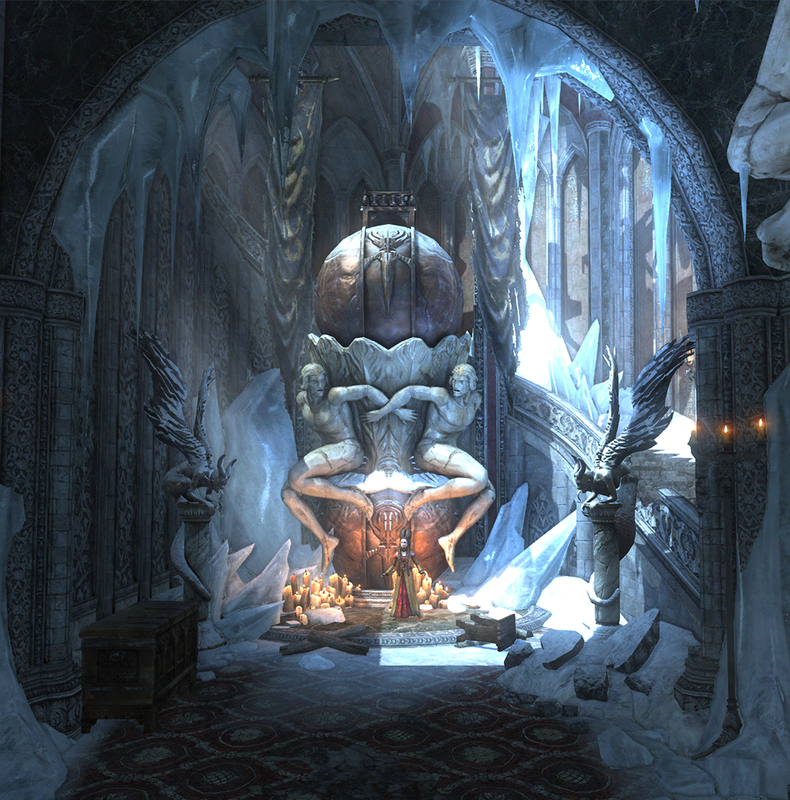 Where Lords of Shadow shot itself in the foot was in trying to make rich beautiful environment, but arbitrarily locked down some of its edges. It might be cool to explore the vampire castle, but not 3/4 of the map are blockaded by invisible walls. As you can expect, all sorts of inconveniences arise from this. Picture this scenario: You see an item in the distance but a wall impedes your progress. Well no big deal, you just try to find another way in and explore the surroundings of the item, only that you inadvertently stumbled upon a forced arena section and are then pushed into a point of no return. Well congratulations, you just misled the players with artificial walls and neglected him entirely of an upgrade he was keen enough to spot. There will be points where you will try to interact with an object that allows you to proceed, only to have it also trigger an enemy encounter. These events are especially common once you acquire the stake upgrade which is a collection of 4-5 QTEs in order to open a gate. Forcing encounters on object interactions is a huge and pointless waste of time. Why bother locking the player into a long animation, only to interrupt him to fight? This was certainly one of many habits Mercury Steam has to break the pacing of the game. It show little respect for the player’s time, especially when the player can’t opt to trigger the fight manually and instead is forced to engage in pointless interactions. RT is your action button, but it works for objects as well as enemies. As established before, Lords of Shadow loves to just slap in enemies when you are in the middle of working out a puzzle. So what happens when weakened enemies and interactable objects collide? A mess. Good luck doing the finisher on that staggered skeleton, you will probably just end up pulling the level and get hit by the skeleton’s friends. LT is responsible for similar mixups as RT. LT+X/Y trigger your relics, but LT is also your block and doge button. While not necessarily life threatening, there are similar frustrations to be found from trying to align your relic punch, only to have Gabriel roll instead. Regardless of what the context is, when a boss heals there is a clear misdirection to the player and the sense of progress he has on the state of the fight. There is an enormous different in player morale when they reduce an enemy’s HP to 5% and have it heal to 50% as opposed to a player who reduced an enemy to 33% of its life. When bosses heal, you shape the perceived state of the game for the player. A player who reduced the HP to 5%, only to have it restored to 50% will feel a sense of robbery from his victory. Rob the player enough and he will halt with his expectations, and become apathetic to the flow of the game. Olrox is one of the biggest culprits of this terrible habit. In case you wondered, Olrox has a total of 5 FIXED HEALINGS. The player is robbed of 5 victory opportunities because the game refused to just give Olrox a bigger HP pool. It is even worse because Olrox heals through forced cutscenes where the player has no control. Healing doesn’t work as a fun mechanic when the player can’t interact with it. Olrox will heal no matter what and the player can prevent it. What the player CAN do is kill the source of healing to prevent further healing. So why couldn’t Olrox just have a bigger HP bar and make his healing an affair which the player can prevent by being on top of the situation and quickly disposing of the corpse? Oddly enough, the game does present some fairer scenarios like the mechanical monstrosity, whose healing you can reverse. I gotta make a pause here to mention the Gravedigger. He is by far my favorite boss and with my favorite level because he is an all-around fair fighter. On the battle, once his HP is low enough you can attempt to execute it, but if the execution fails, then he heals for a good portion of his life. The success of his execution depends on if the player noticed the stake lever and successfully opened the oven before the execution. This is a very clear example of a boss healing where the player could persevere through wits and awareness. Clearly inspired by Shadow of the Colossus, these fights failed to capture what made the Colossus fights so engages. 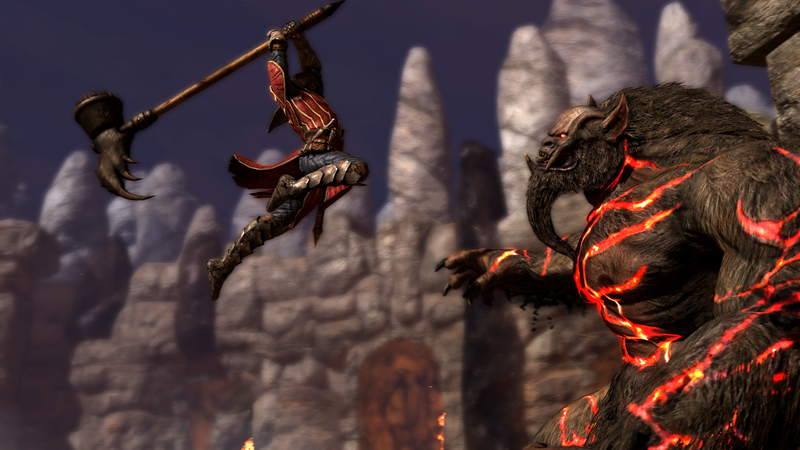 The titans in Lords of Shadow are nothing but a glorified climbing sequence. There are no merits or strategy to the fight, just a climb that is frequently pestered by “Hold RT” prompts. What made the fights in Shadow of the Colossus so unique was that each Colossus had its own personality and by extension, a weakness. Figuring out the weakness was only the beginning, as players had to think of ways of getting on top of the Colossus, and strategically balance their resources to not only deal damage, but also avoid falling from the Colossus. So, how could this benefit Lords of Shadow? Well, for one Lords of Shadow has a bunch of relics and extra moves at its disposal. If the Titan climb was more then just jumping from ledges, then we could see a clear improvement. Being able to charge the attack on the runes would also prove to make the fight more dynamic. Charge for too long and you will fall, but experience and timing as to when t he titan will shake will help the player feel in control of the situation. The forbidden one is a character I hate a lot. Through the words of Laura, one envisions a being of great power, but he is just a pushover knight with tremendous durability. I can’t get over the fact that we are never told of anything about him. He isn’t even hyped to being a creature of power. We are never made aware of its deeds, and frankly, the player is given next to no reason to even respect the forbidden one. As I fought him over and over I was always left wondering who he was and why did I even care. Sadly, this was the exact same case for the last boss of the game. Satan was given no introduction, and only appeared as a plot twist… of the plot twist! The final battles are supposed to represent the culmination of the journey the player engaged, and yet we had to fight these beings we don’t know anything about, we don’t care about at all, and don’t even fear because they are given no introduction other than slight mention of their deeds. I wish I only hated the forbidden one for his lack of lore, but his fight is some next level terribleness. To put it short and sweet, the forbidden one is a monumental HP sponge with hard hitting attacks. His attacks have some of the worst hitboxes of the game in terms of being hit when the animation is nowhere near you. To make manners worse, the in-game tips also say all his attacks are unblockable, and his description says he is resistant to all sub-weapons. So the final battle is one in which all the sub-weapons are useless and perfect blocks are also neutralized. Because every final battle is better when you strip the player of the tools he earned throughout his journey, right? The final nail in the coffin is how his weak spot is ever slightly higher. The first one is on his leg, then his hip, then arm and then head. This means the player has to attack a little higher each phase. Did you know there are no airborne heavy attacks in the air that don’t ground you? Well, you will probably discover it during the fight. Taking away weapon vulnerabilities is one thing, but forcing the player into the air to deal damage is even worse. While airborne you already lost more than half of your repertoire of combos, and your only true mobility option in the air is the instantly ground yourself. If the entire combat system was X, X, dodge before, it now became jump, X, X…, X, LT+A to ground yourself. Unless Gabriel tries to land but is caught with the collision boxes of the forbidden tricking him into thinking he is already grounded, then be prepared to eat an air attack. This was probably the fight that took me the longest being a 40 min endeavor. The fight isn’t even hard, it just stripped me of the will to go on with its enormous HP pool, his height limited weak spots that rendered absolutely every combo unusable, and his terrible hitboxes. I actually felt like making a video compilation of every killing blow he had on my where it wasn’t even close to touching me, but of course that would require me to devote more time than this game deserves. Another enemy that takes away relics from your repertoire… really? I actually played a bit of Lords of Shadow when it first released, but I wondered why I didn’t go through all the way. The fact is that the story might as well be non-existent. I am Gabriel and I know my lover Marie was killed and I should kill the lords of shadow to revive my beloved. The story is pretty generic, but also fails to go deeper into it. Gabriel as a character is not a relatable protagonist. He has a clear intent, but an effort is never made to drag the player deeper into it. The best games have protagonists which resonate with the player, helping the player make the protagonist’s goal their very own. The lack of an emotional bond with Gabriel is perhaps what fosters apathy in the player. It took me a while to notice this, but during my whole journey I never cared in the very least for Marie. She is all over the place and is supposed to be Gabriel’s main motivation, but the game never expands into this relationship or gives the player a reason to care. She could pretty much be replaced by a nameless helper spirit as that is all she does: help. Throughout the game I expected to at least be shown some flashbacks or even memories of their relationship. “Helper” don’t enrich the experience at all. The levels with Claudia or Laura never feel like anything else thanks to their inclusion. They are simply NPCs who follow the protagonist and mutter the same one liners over and over. Laura is definitely a spoiled brat and I hated being anywhere near her. What would have otherwise being a memorable trek throughout the vampire castle is made less by the encounter with her and how she is just a bothersome child. Of course, that is all subjective, but the one thing that really hurt the story is her display of mercy which isn’t even properly explained until the DLC. That must have been a nightmare when the game released. What pains the most in my heart is the fact that this is never a Castlevania. From what I’ve read, this is supposed to be a reboot of the franchise, but this game fails to establish anything meaningful for the Castlevania universe. When the game ends we are left without a proper setting for a franchise, without ALIVE characters and even without the Belmont legacy. Heck, Lords of Shadow even defaults to Dracula at the end of the game to try and salvage the Castlevania lore. 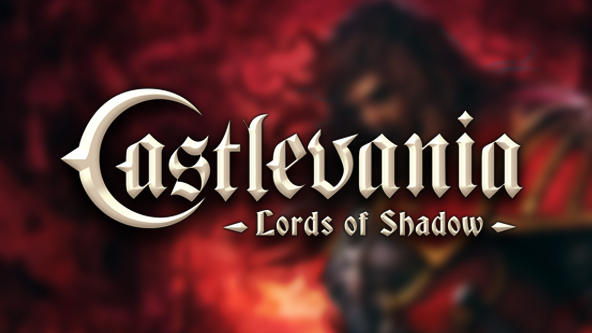 Castlevania has left a legacy, and there is certainly enough material to craft a new beginning and reuse some of the series classic elements, but the only thing that is left in Lords of Shadow is Belmont, a family name that is now lost because Gabriel is a vampire and Marie can’t give birth to a child because she is dead. The more I played the more I questioned why I kept going, there is a reason I love the Castlevania series and this game is giving me none of it. Perhaps the biggest thought in my mind is that this could be its own game. It could have an entirely different name and be a game that stands on its own, what need is there of the Castlevania namesake if there is none of it in the game? I wish I could say this issue with the game was only a matter of name, but when you strip away the legacy of the Castlevania series, then you are only left with a flawed game that had the making of a great title, but big enough shortcomings that totally ruined the experience. I still wonder if anyone bothered play testing this game, there are so many little things that are so easy to spot and fix.